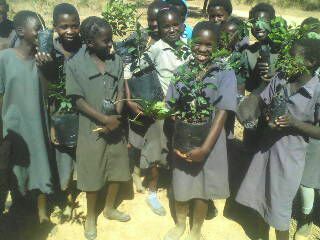 Surely you remember that Planting A Future just recently donated fruit trees to Singwamba clinic and school. As it is in the African bush animals are hungry too and enjoy some fresh and sweet fruits or juicy green leaves. 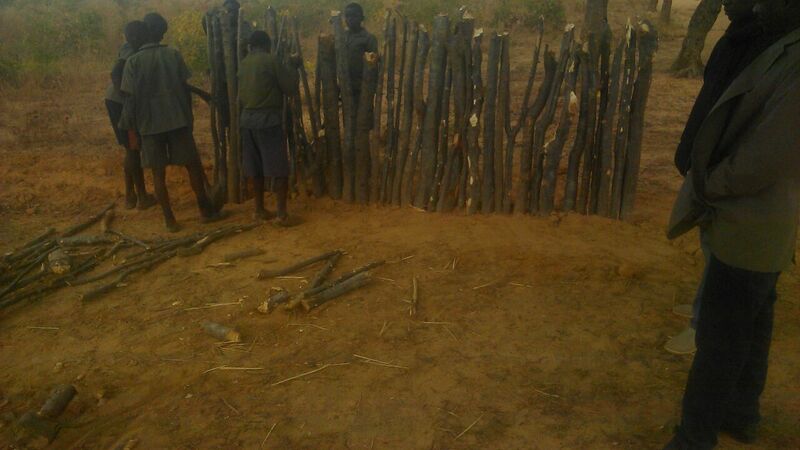 So to protect our seedlings it is necessary to build fences around them. 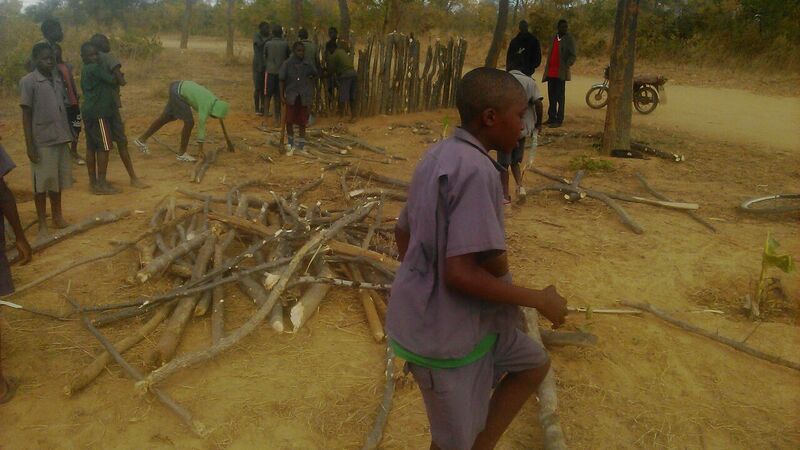 So Planting A Future taught Singwamba pupils how to build a living fence for their orchard. Since time immemorial the abbysinian myrrh tre has played a pivotal role in the life of Tongas. It has been used both as a religious symbol of continuity and as a hedge to keep goats, chickens and pigs away from homesteads. It was also used to protect trees and vegetables from being eaten by livestock. It is in this vein that Planting A Future has captaised on this knowledge and is now encouraging schools and homes with orchards to make living fences around them. The abyssinian myrrh or paperback tree is ideal for this as it does not easily rot or is eaten by termites. Once cut and planted in the soil the stem begins to sprout and within two months you don’t only have a hedge protecting your pawpaws and guavas but also living plants adding beauty and greenery to your home. The religious among us can select the most beautiful stem and put a string of white beads as a welcome sign to spirits of departed forefathers. 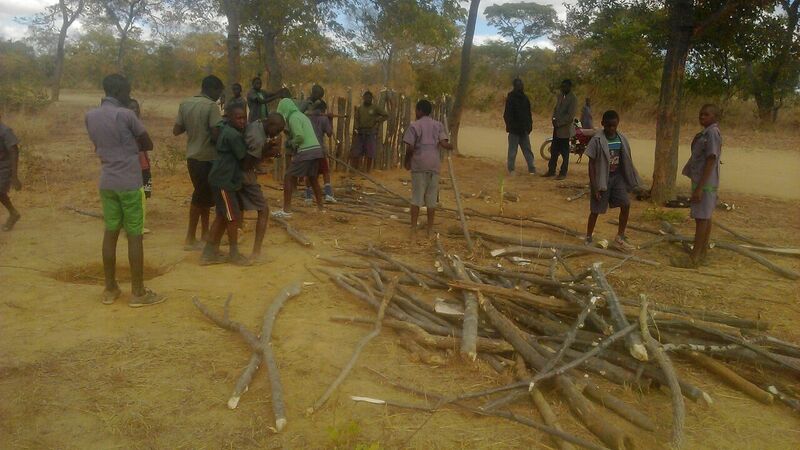 Ok there we go as Planting A Future is bringing back lost knowledge in order to ensure food security in our village. Sei dabei und werde Mitglied!! Aber gut Ding will Weile haben und so sind wir glücklich und stolz, Euch mitteilen zu können, dass Planting A Future ein in Sambia offiziell registrierter Verein ist. Die Gründungsveranstaltung fand am 19. April 2016 statt. Ein wichtiger Schritt ist somit getan. We have been announcing it for quite a while now. But TIA…you know how things are in Africa. IT just all works a bit slower than we are used to. 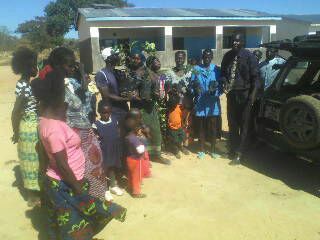 But finally we are so happy and proud to tell you now: Planting A Future is officially registered as NGO in Zambia and we had our Association’s founding meeting on 19 April 2016. What does that mean now? Well…each and every one of you can now become a PAF member! Isn’t that great? What do you have to do to become a member, you ask? Well…easy! Fill in the application form and sign it. Wait for us to confirm your membership. Wait for your tax receipt. Wait…what? Annual contribution? Well yeah…that is the whole point of it 😉 Obviously your mental support means the world to us. But we do have to take care of so many things and you know that money rules the world. Sad, but true. And those annual contributions will help us creating a safe financial base to ensure that we can keep PAF running and finish our projects and plan ahead for the coming years. I know…none of you guys is a smoker, right? But just to do the math…its basically one pack of cigarettes per month. And this money can do so much in Zambia! 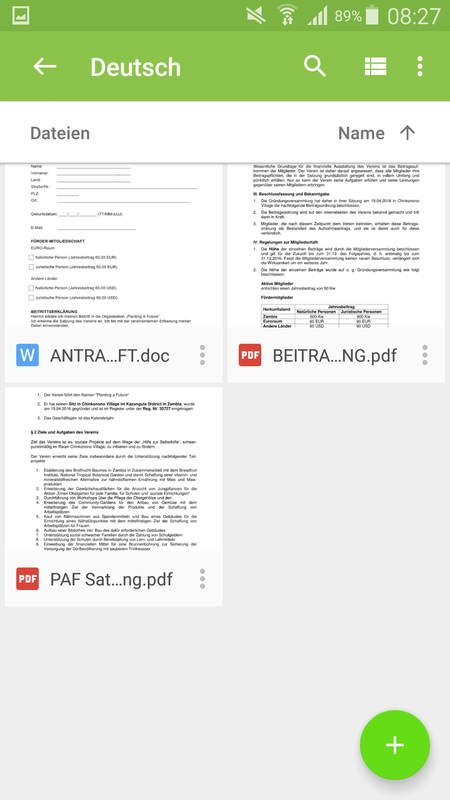 So please just consider it and download the application form. We can’t wait to see the filled-in and signed ones coming in! Please be aware that there are fees when you transfer money into our bank or PayPal accounts. Those fees will have to be covered by you! We hope to make things easier for you with the PayPal account. It seems much cheaper for people outside Germany. 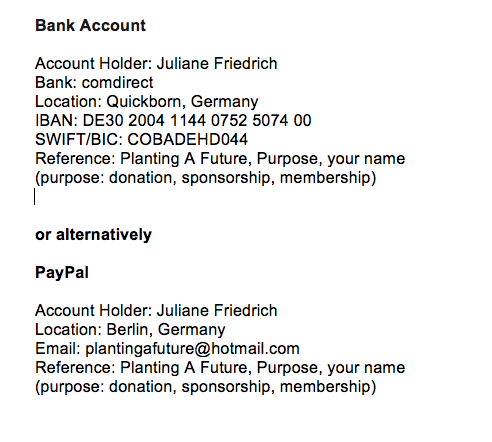 The PayPal account is linked to our bank account and money will be kept there. Hmm…both accounts are held by Julie? There is a reason for that: It is very important to know that at our fouding meeting it was decided that Julie will be in charge of recruiting members and administrating all memberships. 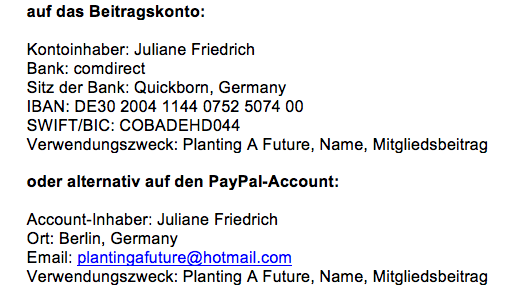 That is why we have both, PayPal and the bank account in Germany, running in her name. But no worries, all money will go straight to Zambia! Transaction fees are very high. So we will collect the money in Germany for a while and do transfers to our Zambian account twice or three times per year. All transaction fees will be payed by Julie. 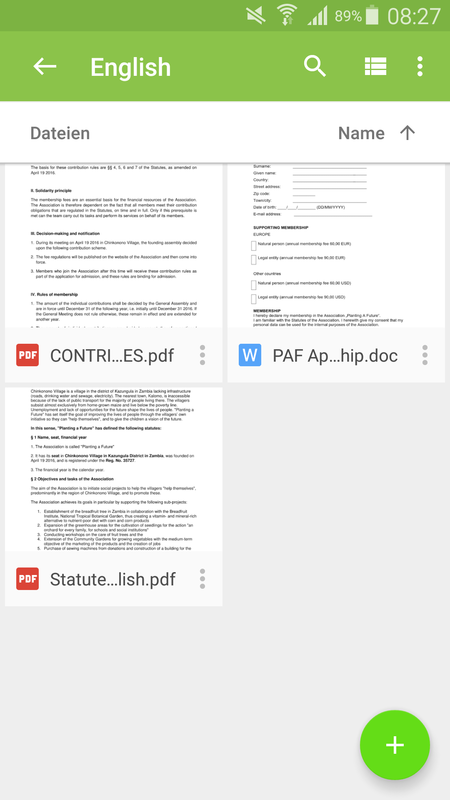 That way we ensure that 100% of your contributions will go into PAF, no adminstrative fees. All that being said…we hope to welcome you guys on board of “MS Planting A Future” very soon!